Gary Moore is probably best known for his work in Thin Lizzy, but the truth of the matter is, that's only one side of the coin. 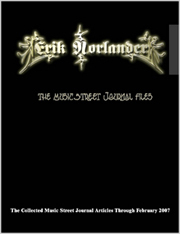 In his solo career he is an extremely talented proponent of the British school of blues. It is in this capacity that he has released this newest album. 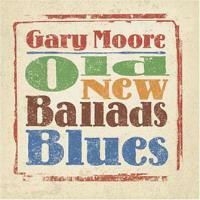 The disc is well titled because Moore includes both old tracks and new, and both ballads and blues - although really most of the ballads are also blues. There is only one song here that I think doesn't cut it, and probably on a different album it would hold up. It's just so much weaker than the rest of the material here that it seems to pull the disc down. For fans of blues and certainly fans of Moore, this is a good release. It does tend to drag a bit at points, but then again, I feel that way about a lot of blues. This may be a classic blues cut, but the wahing guitar sound on this one lends a rather Hendrix-like texture to this one. Other than that specific element this one is delivered fairly traditionally. Moore throws some smoking guitar solos into this one for good measure. This is a great way to start the album and the more energized groove that eventually serves as the outro is quite nice. With a dramatic burst of sound to start off this Willie Dixon number, it drops down to a slow blues jam that is quite effective. Horns and a general retro texture both add to the cool style of this one. While I'd say this one isn't as strong as the first one, it's definitely a potent piece of music. The latter half of the track, with its more high energy take serves to elevate it, too. Moore's searing guitar work doesn't hurt, either. Now, this slow ballad is quite cool right from the start. I really like the laid back, but oh so tasty, texture. This reminds me all at once of Eric Clapton, Traffic, Robert Cray and B B King. This is one of my favorites on the album. This is a fast paced, bluesy rocker that is another highlight of the disc. This jam has such a killer classic texture and hard rocking, but stripped down arrangement. I really like the vocal arrangement a lot, too. It even turns quite funky later. I also love the fact that Moore includes some more wah guitar on this one. It's amazing that this cut is an original. That's how authentic and traditional it sounds. This is an extremely slow blues rock number that is very tasty. One of the hardest edged cuts on show here, this mid-tempoed blues really scorches. It's probably my favorite number on the disc. Of course, the strength of this Otis Rush composition has something to do with that, but really Moore purely smokes it. This one goes through a number of changes, but never ceases to please in all its varied incarnations. I just can't tell you how good this one is - words just won't do it. This is one you have to hear to fully appreciate. While this ballad is pretty, to me it just doesn't hold up to a lot of the other material here. I mean, it's entertaining and catchy, but a bit too generic. The other material on show here is too strong for this one to really hold up next to it. This just feels trite in comparison. Well, if I can say anything positive about the last track, it is that it makes this one seem to rock out all the more. This is a hard-edged bluesy rocker with a lot of soul. It's just about the perfect pace and has some extremely meaty jamming. It comes at the perfect time because we really needed a pick up after that last one. Moore contributes some killer soloing to this retro textured instrumental. This is another slow, and very retro sounding blues cut. It's another that works quite well, but doesn't really stand out. It is a little too generic, but does manage to get some oomph for the buck. Moore's soloing on this is anything but generic and in fact one of the strongest parts of the track. The retro texture on this one works better than the last one, and this one has a lot of style. This is another that brings up comparisons to Eric Clapton at times, but the Robert Cray ones are also here. While this cut is definitely not weak, I wonder if something with a little more fire might have made a better closer.